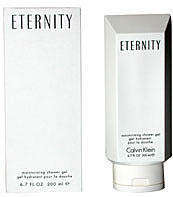 Calvin Klein introduced Eternity in 1989. It's fragrant nature explores essences of lavender, jasmine and amber. Blended with notes of rosewood, vetiver and sandalwood, Eternity is a all around fragrance. Buy 1 for $25.65Buy 2 / Save $1.37!Buy 3 / Save $5.13!